There’s something about springtime that brings out the travel bugs. If they’re biting you and you’re feeling the itch to get away, you don’t have to go far for adventure and relaxation. Even if you didn’t take a special spring break trip to Padre Island, you can still get away for the weekend — no plane ticket or passport required. The first day of spring 2019 was March 20, although in Colorado the weather doesn’t follow the calendar. Many ski resorts stay open far into springtime, which means a typical Colorado spring break getaway could look a lot like Christmas. It could also be blue skies, wildflowers and sunshine. The next day. 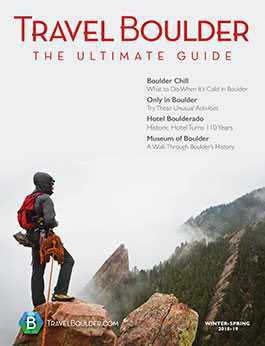 If you’re looking for some staycation inspo, whether you’re visiting Boulder or you live here, check out a few great springtime destinations just a short bounce away, including the new, the views and the artsy. The Broadmoor in Colorado Springs kicks off every spring with the annual Women’s Weekend of Wellness. This year, it was March 7-10, but if you missed it, add it to your calendar for next year. This three-day retreat is designed to create space for self-care and inspire healthy living, through educational speakers, daily yoga and fitness classes, guided hikes, healthy food and more. 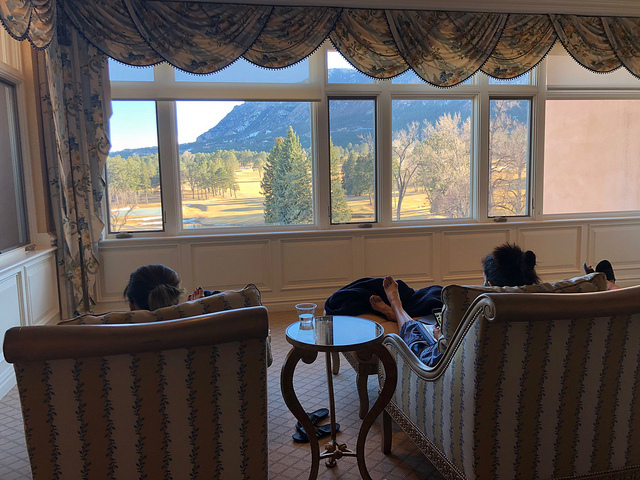 Even if you don’t attend the event, the luxurious Broadmoor is perfectly set up for a healthy vacation in the mountains. The resort has a Forbes Five-star spa (with an indoor-outdoor pool and hot tub), a top-notch gym, a tennis program, championship golf courses and many on-site healthy restaurants and cafes. 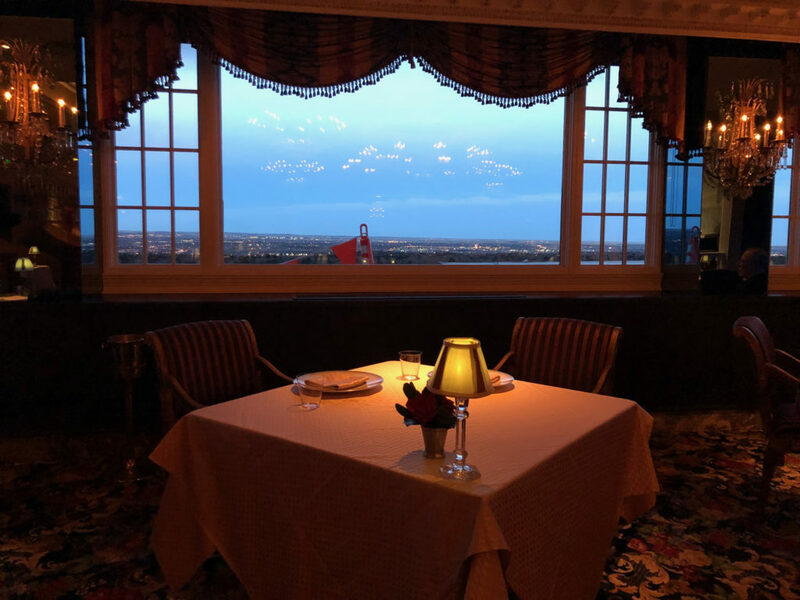 The highlight at the Broadmoor (and one of the best places to eat in the country) is the Penrose Room, Colorado’s only Forbes Five-Star and AAA Five-Diamond restaurant. That’s as good as it gets, guys. This restaurant is perched on the top floor of the South Tower with panoramic views of the mountains and city. If you don’t mind some wine with your European-inspired food (we know, it’s not exactly healthy), try the chef tasting menu with wine pairings for an unforgettable taste experience. 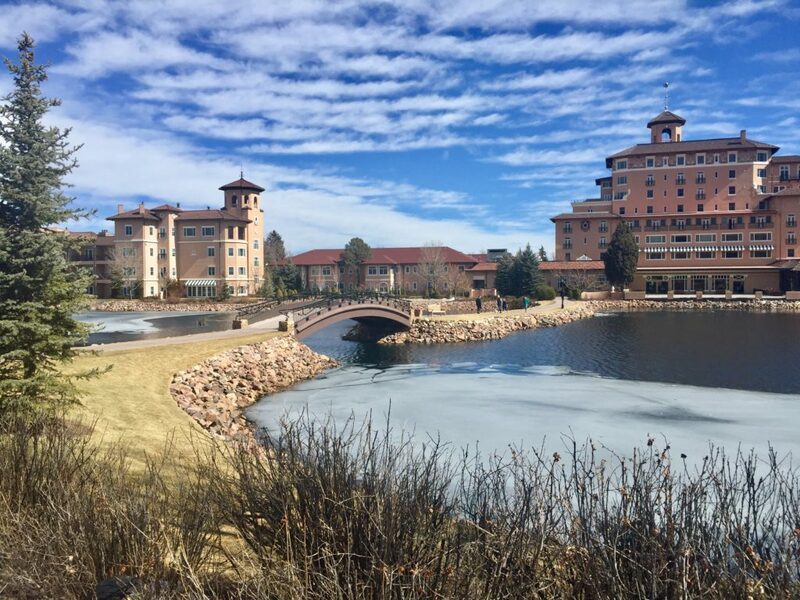 After dining, go for a stroll around the Broadmoor’s lake. It’s easy to be active at the Broadmoor, with its large, walkable campus and nearby trails. We love the 1.7-mile Mount Cutler Trail, an out-and-back trail appropriate for all levels. Keep your eyes open for wildflowers. We also enjoy the St. Mary’s Falls Trail, which is longer, harder (moderate) and usually busier, but the 6.3-mile trail features a stunning waterfall. When at the Broadmoor, it’s a must to spend time in the spa. Arrive early so you can sip on fruit-infused water or tea and munch on dried fruit, nuts and berries in one of the multiple relaxation rooms (our favorite is the co-ed room with oversized windows looking out at the mountains for more stunning views). Set aside enough time to sit in the steam room, sauna, aromatherapy room and the unique oxygen room, a room that’s just what it sounds like: It’s filled with extra oxygen, which can help ease altitude sickness, among other health benefits. The perfect way to follow the oxygen room is with the Broadmoor’s Oxygen Infusion skin treatment. The therapist will apply a serum and then infuse it into the deepest layers of your skin using gentle, hyperbaric pressure of a special machine. The 50-minute treatment is hydrating on a deep level and helps replenish your skin from Colorado’s dry winters. You’ll be ready for spring when you leave. We know it’s the rival college town, but Fort Collins continues to blossom. Rams or not, it was recently named a top place to visit in 2019, with its charming downtown, impressive brewery scene and easy mountain access. It’s close to Boulder (less than an hour away), so it’s a solid, go-to day trip. 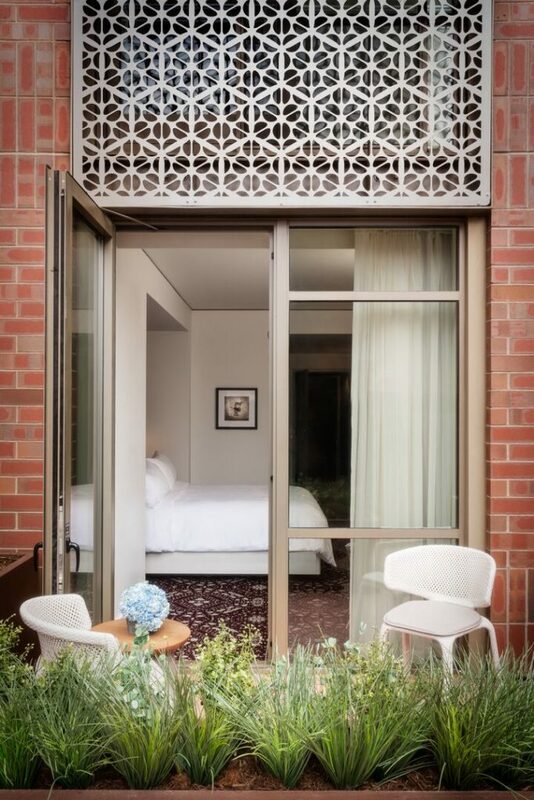 Stay at The Elizabeth Hotel, the city’s newest boutique hotel that’s a destination, in and of itself. The hotel is filled with quirky art, from murals to antiques and collectibles on display. In fact, the hotel boasts a curated collection of 130 original art pieces, many made by local artists. As you stroll the hallways, you’ll see shelves of curiosities, like horns, old photos and record players (and a stack of records) in every room. Rent musical instruments to bring back to your room; strum the uke in bed. Make sure you check out the Sunset Lounge, a rooftop hangout on the top of the hotel. 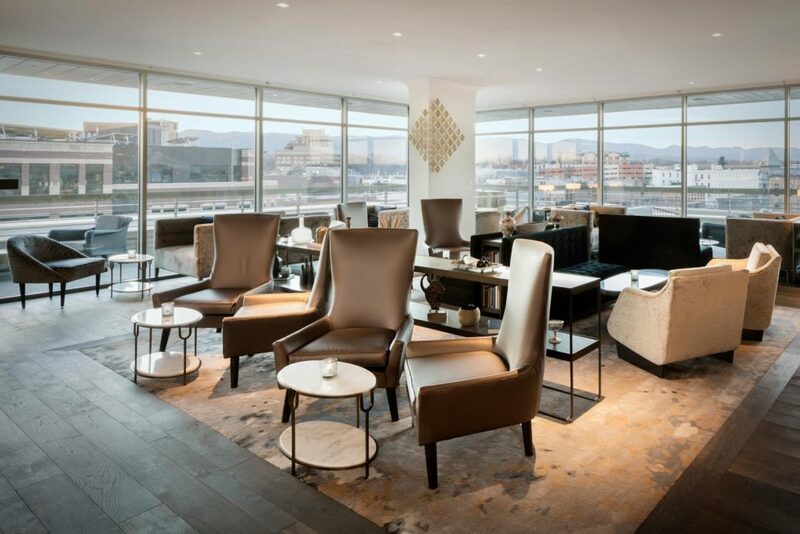 The lounge has an all-weather, open-air lounge with incredible views of the city and mountains. Per the name, we especially enjoy tipping back a cocktail here at sunset. Many of the innovative drinks compliment the music theme, like The Piano Has Been Drinking (cazadores blanco tequila, lime, cilantro, strawberry, tonic syrup). 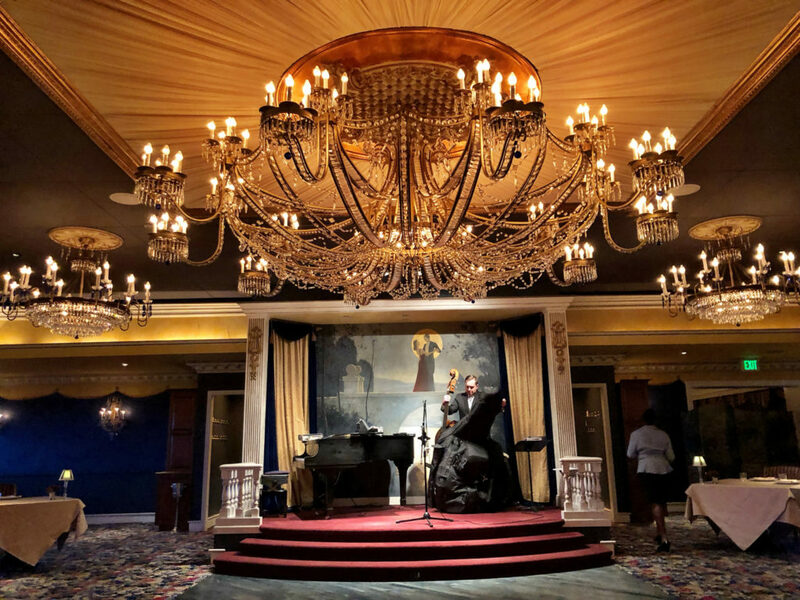 Wednesday through Saturday, catch live jazz. Order martini service for two and toast to the springtime in Colorado. When you get hungry, The Emporium, a restaurant on-site, has a fun menu centered around locally-sourced ingredients (and its cocktails are also excellent), and you can buy bottles of wine at wholesale prices from The Emporium’s in-house wine shop and enjoy them with dinner. The Regional, in Old Town: This restaurant started in a shipping container in Denver but moved to FoCo late 2018. The menu is “homegrown comfort food” using Colorado ingredients. The style: all those American faves. Ginger and Baker opened in late 2017 in a renovated 110-year-old grain mill (on the National Register of Historic Places and State Register of Historic Properties). For something upscale, try Colorado bison ribeye or charred octopus. For something relaxed, the cafe serves comfy dishes like green bean fries, pot pies and the best pie, including caramelized banana cream pie. The Gold Leaf Collective boasts (and has been awarded for) some of Colorado’s best vegan food. The creative dishes are Colorado-centric, seasonally changing and will expand what you consider when you think of vegan. Think: buffalo cauliflower, poke bowls, Bahn Mi sandwiches. Give it a try, even if you’re not vegan. Find it across from CSU. Restaurant 415 is a sleek eatery where everything’s made from scratch. Everything. Try house-made fried chicken with orange-infused waffles and bacon thyme maple syrup. OK, not exactly healthy. But it is homemade, so there’s that. The Silver Grill Cafe is a Fort Collins institution. 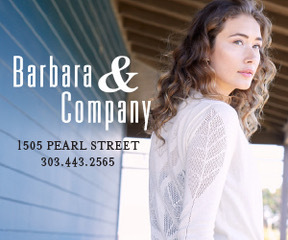 While you’re experiencing all that’s new in Fort Collins, don’t forget what’s old. This is the oldest restaurant in northern Colorado and the place to go for breakfast. It’s got that classic diner vibe, with booths, giant cinnamon rolls, biscuits and gravy and a Build Your Own Bloody Mary Bar every weekend. You can go healthy, too. 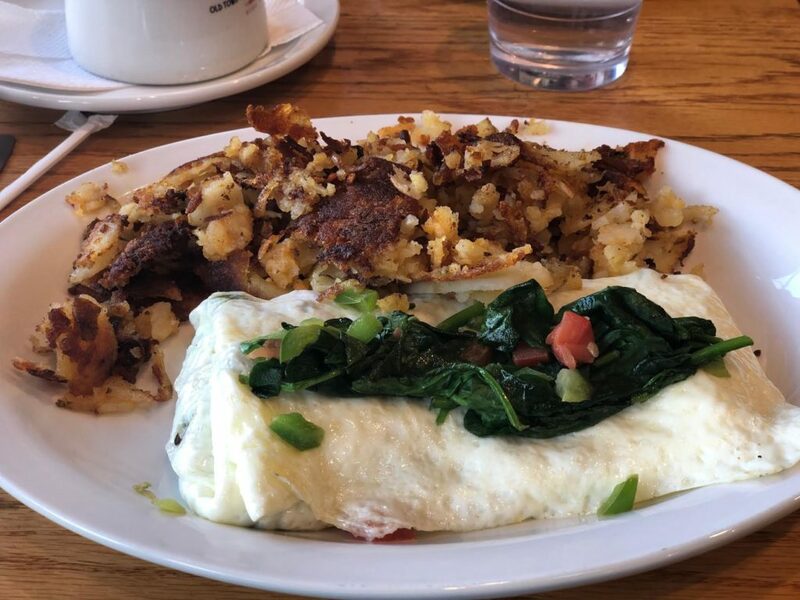 Egg whites and veggies with a side of hash browns never tasted so good. If you’re in town for one of the five days every year when the grill offers its rollback menu, you’ll see a line around the block. That’s when the restaurant uses its 1933 prices, including coffee for a nickel. 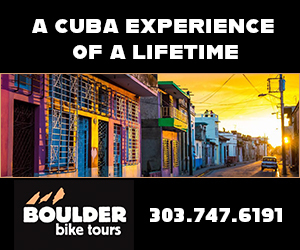 There’s always something fun to do in downtown Denver, just a short drive from Boulder. Our favorite way to plan a Denver staycation is to pick the perfect home base and venture out from there. 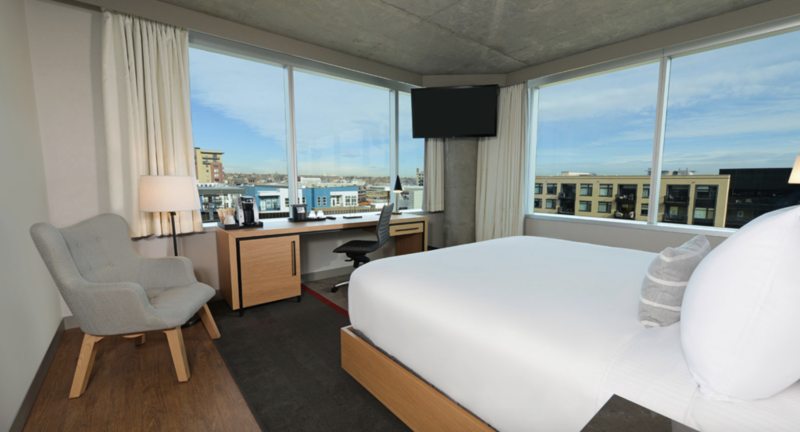 Right now, we’re loving the ideally located Hotel Indigo Denver, at 1801 Wewatta St. just behind Union Station and near Coors Field and the Museum of Contemporary Art. This is another hotel that expertly uses original, local art in its decor and vibe. 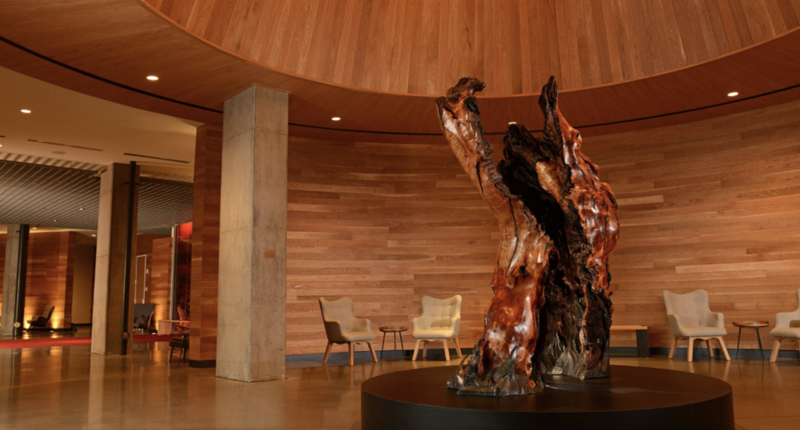 The guest rooms here are filled with high-end furnishings, unique features (like sliding barn doors, hardwood floors, polished concrete ceilings and spa-style bathrooms with Aveda products) and interesting local artwork, but the highlight is an original art installation by Denver-based sculptor Norman Epp. The lobby rotunda feels like a museum that honors Colorado’s frontier past, but with a modern spin. You’ll see oversized gold-mining photos and Epp’s unique sculpture of old-growth black cherry and steel. The hotel has its own Spotify station. The sound of the hotel rounds out its personality. Boulderites will love this: The hotel has its own doggie ambassador, Tigger the white pup, who will greet you when you arrive mid-week. The expansive views of the city from some of the guest rooms are jaw-dropping. Although you’re close to everything, you don’t need to venture far for good food. The hotel’s restaurant, Hearth & Dram, is one part rustic American restaurant, one part modern saloon, but fully tasty and sophisticated. The restaurant has a new, respected executive chef, Adam Vero. 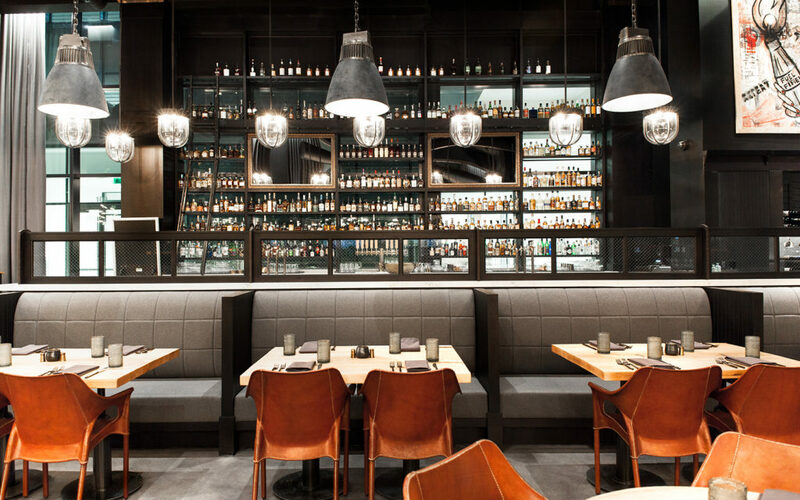 As he puts it, Hearth and Dram is all about meat, whiskey and rock and roll. 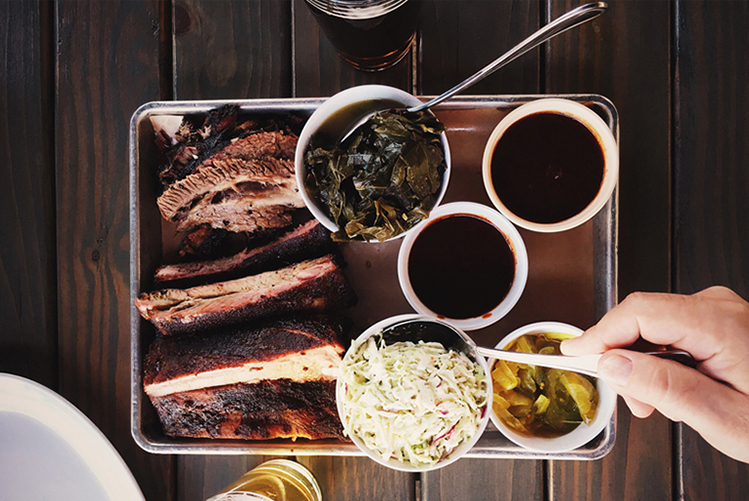 The menu spans wood-fired meats, seafood, small plates and global flavors (like housemade steamed Hawaiian rolls or foraged mushroom fettuccine). The cocktail list is where H&D especially shines, even in a city like Denver with seemingly endless nightlife offerings. It boasts one of Colorado’s biggest collections of whiskey (more than 600 types from around the world), plus whiskey on tap and a custom whiskey cart with whiskeys from a reserve list. If you don’t drink whiskey (first of all what are you doing in Colorado? ), there is also a fun selection of small-production wine and a dozen local beers on tap. While in Denver, make sure you also spend some time in Larimer Square. There, book dinner at Tamayo, where chef Richard Sandoval serves authentic Mexican food, handcrafted margs and more than 100 tequilas. 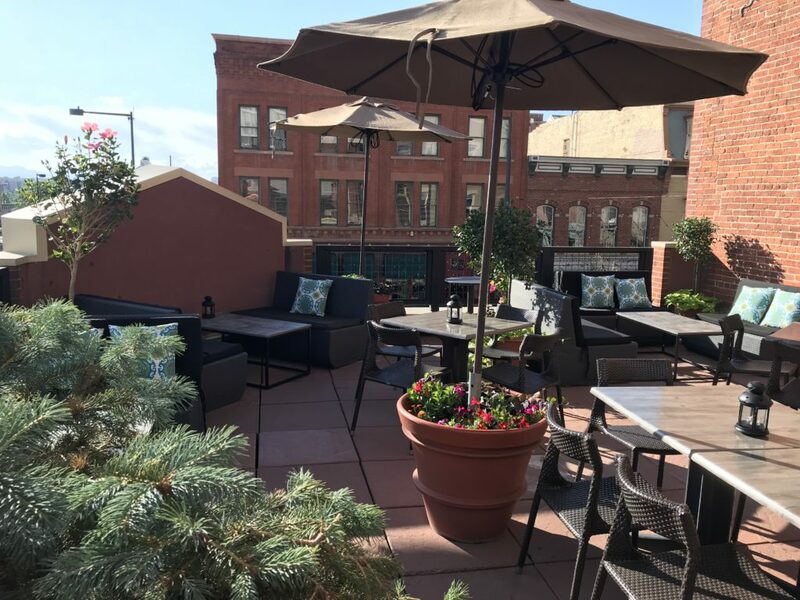 If weather allows, grab a table on the outdoor terrace with views of the mountains and Larimer Square. The “mud season” or off-season is the time of year to visit ski towns. Although some activities, restaurants and shops may be closed, many stay open and offer huge discounts. For example, Beaver Creek’s ski season ends April 14. Before summer starts up, spend some quiet time at the Ritz-Carlton, Bachelor Gulch in Beaver Creek, which has an amazing new champagne and raw bare called Fireside. Relax outside by the fire pit and listen to live music, if available. As for mud season specials, there’s Spring at the Spa, whereby hotel guests get 50 percent off unlimited spa treatments over 60 minutes (offer runs April 14-June 13). 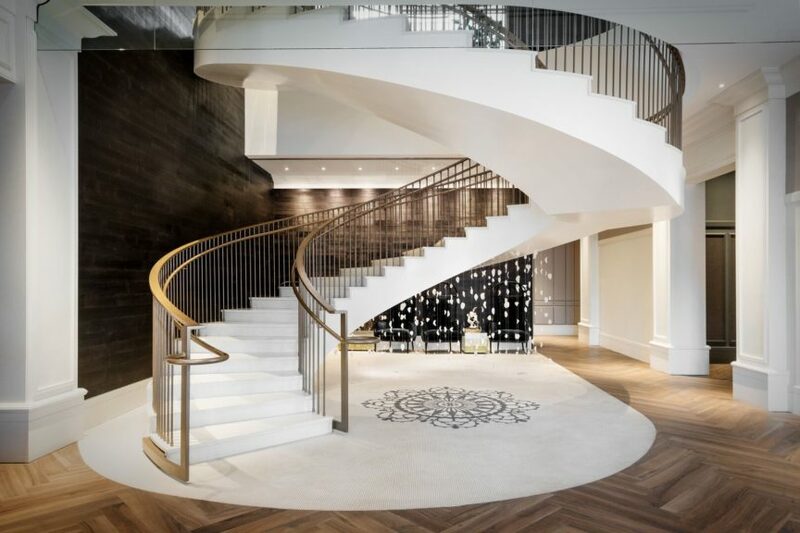 The Ritz-Carlton, Bachelor Gulch’s world-class spa has 19 treatment rooms, a nail salon and multiple rock grottos; it is one of the best spas in Colorado, without question. In addition, there’s Mother’s Day in the Mountains. 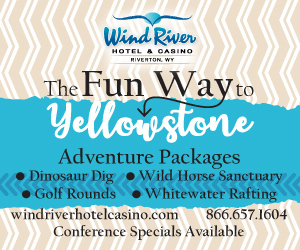 This package includes discounted spa deals, plus a signature Mother’s Day brunch at WYLD (the on-site restaurant). Hotel rates are unbeatable, too, starting at $219 a night. Yes, at a Ritz-Carlton in Beaver Creek.